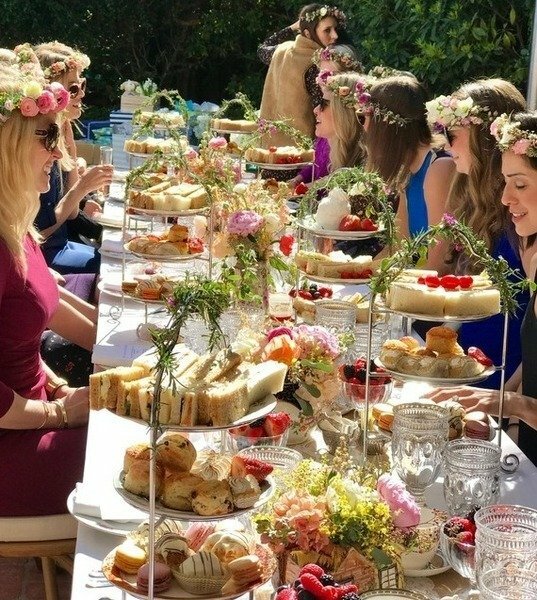 Anyone for Tea is a Los Angeles catering company specializing in traditional English afternoon tea parties for 25 to 100 guests. 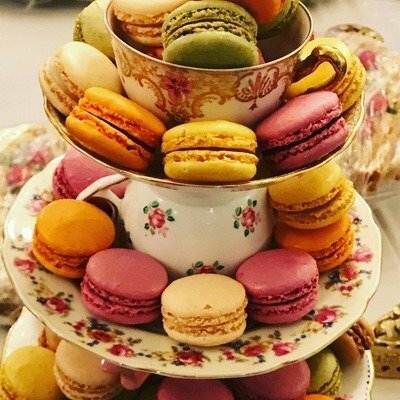 We provide everything you need to host a sumptuous totally unstuffy vintage tea party at the location of your choice: home, garden, office, park, hotel, in fact anywhere we can brew a pot of tea! Oh so terribly British menus include Alice in LaLa Land, Downton Abbey and Mary Poppins. 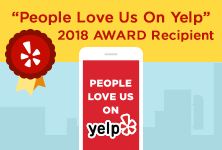 Each menu includes delicate and delicious finger sandwiches, homemade scones, fresh-baked pastries and scrumptious cakes. 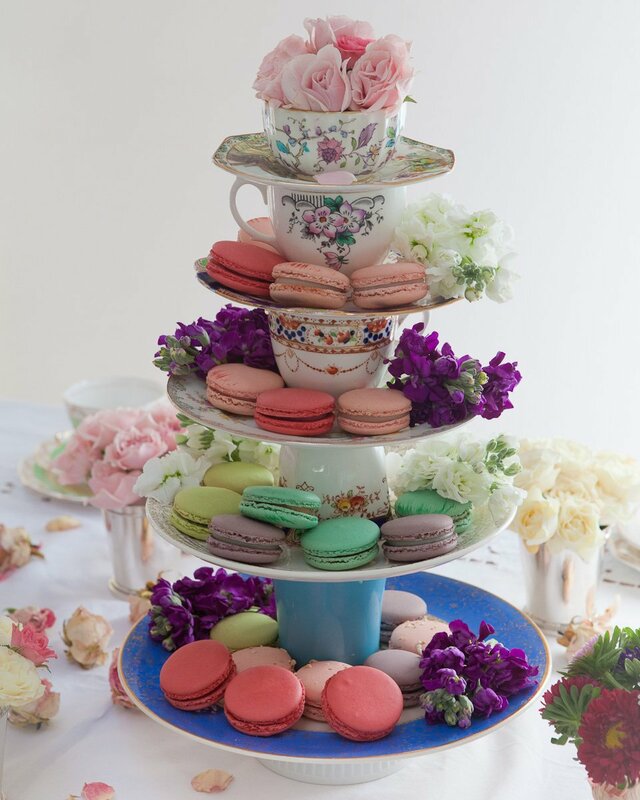 Food is served on vintage platters and artisan cake stands and hot tea is poured from pretty teapots. 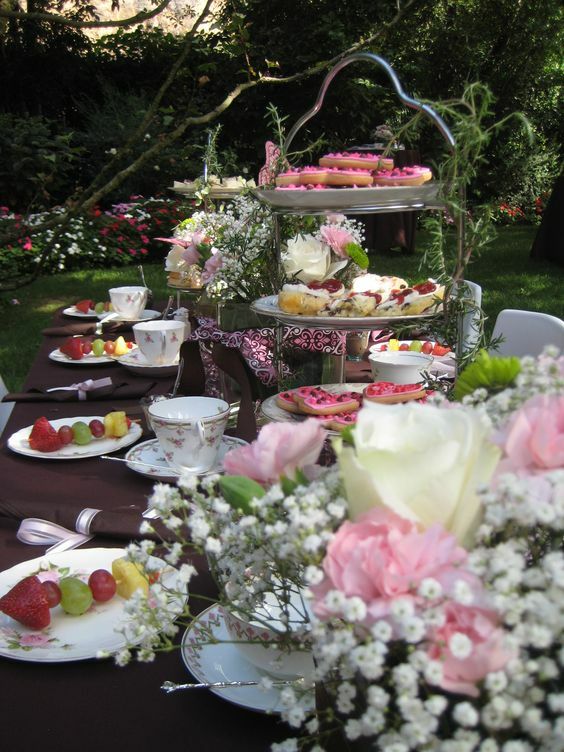 Vintage china place setting, flatware, all serving stands and a dainty cup and saucer is included for each guest. 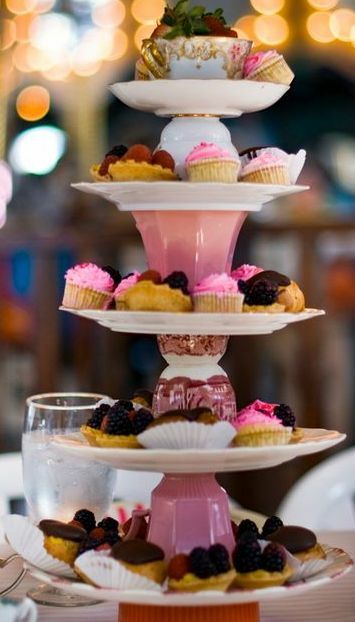 Vintage china, flatware and drinkware are available for rent. 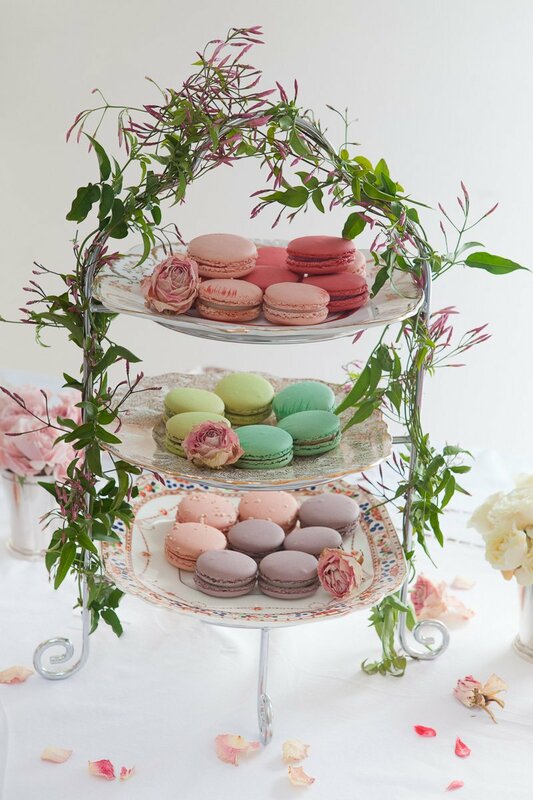 Our vases, cake stands, teapots, cups and saucers, teapots, cake stands and dishes have been featured in many photo shoots and also used as movie props. 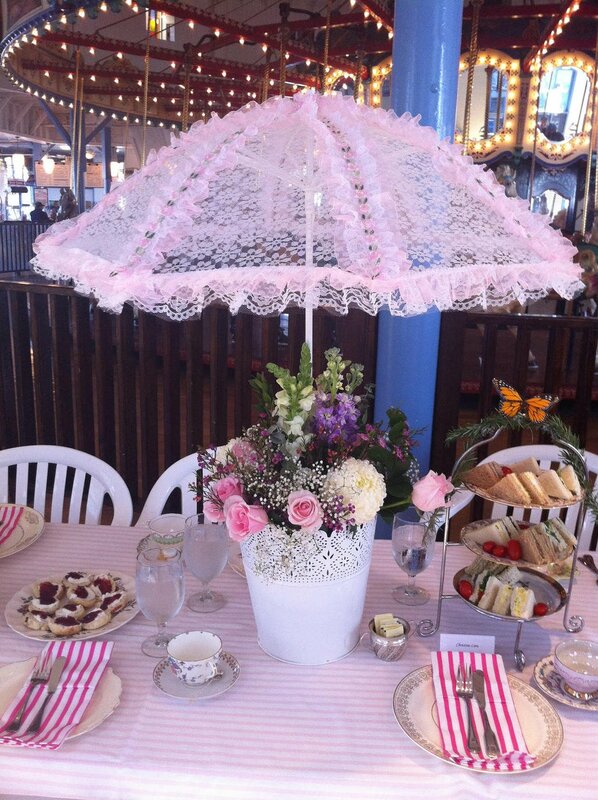 Available for your own hosted shabby chic, Victorian, or garden party events. 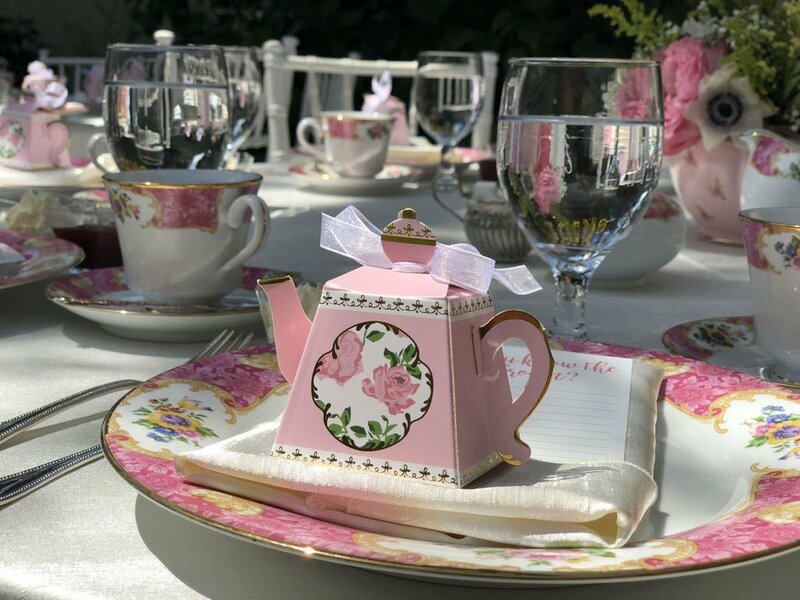 Your choice of either shabby chic mix and match or matching pink “Lady Carlyle” china sets.